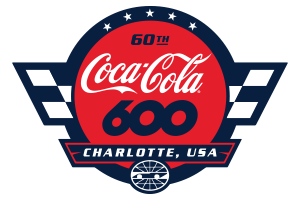 Before the curtain is lifted on Sunday's Coca-Cola 600 at Charlotte Motor Speedway, a pair of Canadian race fans from Hillsdale, Ontario, will camp at their hand-painted bus which has entered NASCAR lore. Race fans will get up-close-and-personal looks at wrestlers and their sermons, and if anyone needs an ice-cold can of Redneck Hill Ale, it's still available but supplies are going quicker than a Monster Energy NASCAR Cup Series car in qualifying trim. AMERICA'S HOME FOR RACING - AND CAMPING: Bernie and Charlene LaPensee travel more than 12 hours from their home in Hillsdale, Ontario, Canada, every May for the 10 Days of NASCAR Thunder at Charlotte Motor Speedway. The LaPensees (pronounced LA-PON-SAY) don't spend just 10 days at the speedway, though. They brought their ornate, 34-foot camper with sketches of drivers and hundreds of driver autographs for the entire month of May. The two camped outside the speedway's backstretch before their campsite was ready - so they can lay claim to being the only foreign fans who have camped out for NASCAR Xfinity Series Test Fest on May 7, the Monster Energy NASCAR All-Star Race last weekend and this weekend's Coca-Cola 600 activities. Earlier this month, defending Monster Energy NASCAR Cup Series champion Martin Truex Jr. hopped in a Toyota Camry XSE pace car and led the LaPensees - and their camper, replete with Truex's autograph - around Charlotte's ROVAL™ road course oval. Before the storied camper is retired after this month, it's worth noting that the radical rig has won Best Coca-Cola Camper Display four times at the speedway. CAMPGROUND WRESTLING…'NUFF SAID: Not many men can hand out copies of the Holy Bible, spread the gospel and execute moves like "The Flying Neckbreaker." During NASCAR race weeks at Charlotte Motor Speedway, preaching and wrestling at the track's Rock City Campground serves as an average Saturday afternoon for George South, a 55-year-old former professional wrestler. During his prime, the Charlotte, North Carolina, native trained with Ric Flair and participated in World Championship Wrestling and World Wrestling Federation events. And, while South operates George South Pro Wrestling School in Charlotte, his passions extend beyond the ring. George South Ministries partners with Parkwood Baptist Church in Concord, North Carolina, as well as Raceway Ministries, to bring wrestling to a crowd of race fans at Rock City Campground. In between putting other wrestlers on the mat, South will preach on Saturday at 11 a.m. at Rock City. "We've been doing this for years," South said. "Everybody knows that wrestling and NASCAR go pretty well together. It's a lot of fun. People will come up and meet me and tell me they saw me in a match with Ric Flair 30 years ago. That's pretty special to hear. "Just to have the chance to show some love to a lot of great people, to get in the ring, perform some of the moves and enjoy all of this is special to me. My relationship with the Lord is the most important thing to me and this opens up so many doors for me to share my beliefs with people." Parkwood Baptist Church has developed a strong relationship with South. In addition to the wrestling matches and ministry, a free lunch has become a staple of the race-week festivities. "I wrestle all over the country during the year," South said. "I get to see some big cities and lots of different people, but coming back here to Charlotte and Charlotte Motor Speedway, this is my all-time favorite show. Being able to meet some of the great racing fans and wrestling fans is awesome. Sharing my relationship with the Lord here is so special to me." CRAFT BREW NAMED FOR A SCENIC VIEW: In April, Charlotte Motor Speedway and Cabarrus Brewing Company unveiled Redneck Hill - a spectacular, smooth, American Ale named for the raised spot in the speedway's infield between turns 1 and 2 which in the 1960s became race fans' prime spot for watching the race, partying and grilling. Country music legends Willie Nelson and Marty Robbins visited Redneck Hill, as did Pixar executives while they researched the movie that became "Cars." Redneck Hill's history as an iconic part of Charlotte Motor Speedway lore enters a new chapter with the craft beer, which will be on sale for just $8 per 16-ounce souvenir can at all major speedway events. The beer has received rave reviews from race fans, with its limited supply making the collectible cans more desirable - and valuable.